I’m not one for war novels, but this little gem hooked me from the start. The writing is stellar and the characters speak and act with a naturalness that only comes from actual combat experience. Kevin Powers, the author, is an Iraq War veteran. The story he has written about his experiences is heart-breaking. The narrator, 21 year old Private Bartle, had literary aspirations in school and received a lot of taunting from his friends, so he decided to prove his manhood by becoming a soldier. This mirrored the author’s life who enlisted at age seventeen. At basic training, he meets, the pimple-faced newbie, Murph, whose mother begs Bartle to promise to bring him back from Iraq unharmed. This summer will be the 150 year anniversary of the Battle of Gettysburg, one of the deadliest periods of the Civil War. 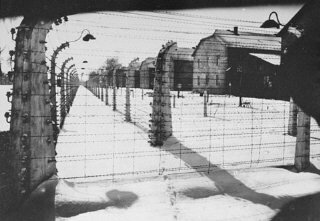 The three days saw record causalities and is also considered one of the turning points of the war. 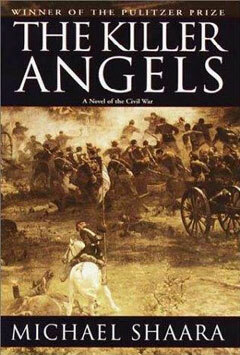 Instead of breaking out a dusty nonfiction tome, consider The Killer Angels by Michael Shaara. This fiction book does a good job at adequately describing the events that did occur, but shines at getting into the heads of the major players. We meet Lee, Longstreet and Chamberlain and start to understand their thoughts, positions, opinions and fears as they prepare and head into battle. This is well researched, and really readable. The maps give you a good visual perspective as well. I read a review of Three Day Road, Joseph Boyden's first novel of World War I, which mentions that this isn't necessarily an anti-war novel. I had to read the sentence in that review several times to make sure I wasn't misreading or misunderstanding. Does a war novel have to come out and specifically declare a stance? Really, Boyden includes anti-war elements right up to the breathtaking ending: senseless killings, madness, morphine addiction, shortsighted military leadership, dehumanization, and the day to day terror. The characters in this book do seemingly impossible and horrible things in the name of combat. Is that not stance enough? Is it even important? My question of the week - Do women read war novels? I don't mean to ask this in a polarizing and dramatic way, but out of genuine interest.